Go to original pattern for design DROPS 146-22. 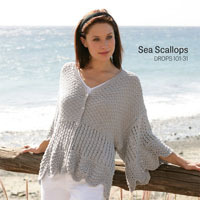 Knitted DROPS tunic in ”Alpaca Bouclé.” Size: S - XXXL. DROPS CIRCULAR NEEDLE (80 cm / 32'') SIZE 6 mm/US 10 - or size needed to get 15 sts x 19 rows in stockinette st = 10 x 10 cm / 4'' x 4''. DROPS CIRCULAR NEEDLE (80 cm / 32'') SIZE 5 mm/US 8 – for rib. DROPS CIRCULAR NEEDLE (40 cm / 16'') SIZE 5 mm/US 8 – for neck edge. In the round on needle: * K 1 round and P 1 round *, repeat from *-*. Back and forth on needle: K all rows. 1 ridge = 2 K rows. See diagrams A.1 and A.2. The diagrams show the pattern seen from RS. Worked in the round on needle. 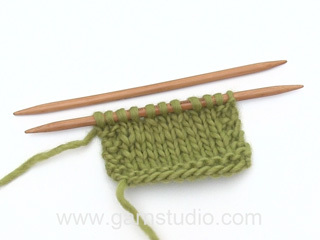 Cast on 192-204-220-236-256-276 sts on circular needle size 5 mm / US 8 with Alpaca Bouclé. Work rib as follows: * K 2, P 2 *, repeat from *-* the entire round. Work rib for 6 cm / 2½''. On next round K all sts while AT THE SAME TIME dec 32-32-36-36-36-40 sts evenly on round = 160-172-184-200-220-236 sts. Insert 1 marker at beg of round and 1 marker after 80-86-92-100-110-118 sts (= in the middle of sides), move the markers upwards when working. Then switch to circular needle size 6 mm / US 10 and work diagram A.1 in the round. REMEMBER THE GAUGE! When piece measures approx. 50-51-52-53-54-55 cm / 19¾''-20''-20½''-21''-21¼''-21½'' (finish with 8th or 18th row in A.1), work 4 rounds in garter st - read explanation above, then work diagram A.2 in the round. When piece measures 54-55-56-57-58-59 cm / 21¼''-21½''-22''-22½''-22¾''-23¼'', bind off 3-4-5-5-6-6 sts on each side of every marker for armholes (= 6-8-10-10-12-12 sts bind off in each side), now divide the piece and finish each part separately. = 74-78-82-90-98-106 sts. Continue with A.2 back and forth on needle - but work the outermost st in each side in GARTER ST - read explanation above - until finished measurements. When piece measures 68-70-72-74-76-78 cm / 26¾''-27½''-28½''-29''-30''-30¾'', bind off the middle 18-20-20-22-22-24 sts for neck and finish each shoulder separately. Then bind off 2 sts on next row from neck = 26-27-29-32-36-39 sts remain on the shoulder. Loosely bind off all sts when piece measures 70-72-74-76-78-80 cm / 27½''-28½''-29''-30''-30¾''-31½". = 74-78-82-90-98-106 sts. Continue with A.2 back and forth on needle - but work the outermost st in each side in garter st until finished measurements. 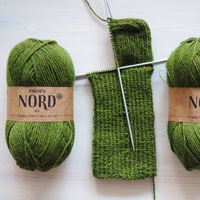 When piece measures 61-63-65-66-68-70 cm / 24"-24 3/4"-25½"-26"-26 3/4"-27½", bind off for neck as follows: bind off the middle 8-8-8-10-10-10 sts on next row from RS. Then bind off on every row from neck as follows: 2 sts 2 times, 1 st 3-4-4-4-4-5 times = 26-27-29-32-36-39 sts remain on shoulder. Loosely bind off all sts when piece measures 70-72-74-76-78-80 cm / 27½''-28½''-29''-30''-30¾''-31½". Sew shoulder seams inside bind off edges. Worked back and forth on needle. Pick up from RS approx. 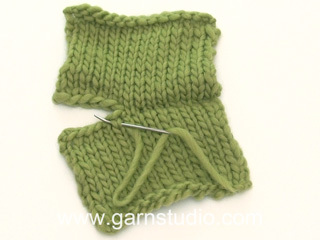 50 to 60 sts on circular needle size 6 mm / US 10 inside 1 edge st along the armhole (not over bound off sts). P next row from WS - while AT THE SAME TIME adjusting no of sts to 50-52-56-58-62-64. Work diagram A.1 (beg on 3rd row in pattern) with 1 edge st in garter st in each side. 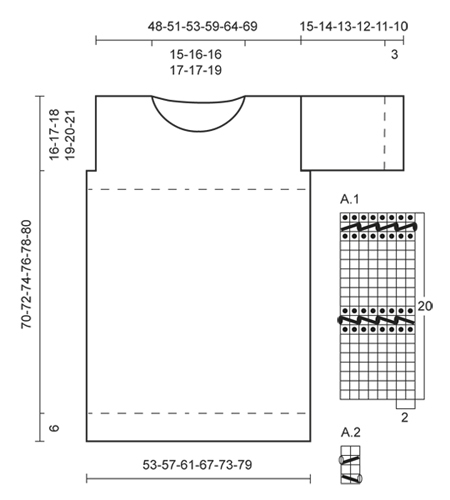 When piece measures 2-3-3-3-4-4 cm / 3/4"-1"-1"-1"-1½"-1½", insert a marker in each side of sleeve (for assembly). When piece measures 12-11-10-9-8-7 cm / 4 3/4"-4½"-4"-3½"-3"-2 3/4", K last row from WS while AT THE SAME TIME inc 4-6-6-4-4-6 sts evenly on row = 54-58-62-62-66-70 sts. 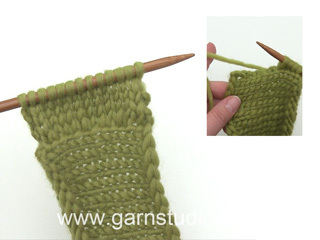 On next row switch to circular needle size 5 mm / US 8 and continue in rib (K 2/P 2) with 1 st in garter st in each side. Loosely bind off all sts with P over K and K over P when piece measures 15-14-13-12-11-10 cm / 6"-5½"-5"-4 3/4"-4½"-4" (shorter measurements in the larger sizes because of broader shoulder width). Sew the sleeve seams inside 1 edge st - NOTE: The section worked before the marker at the top of sleeve, should fit the bind off for armhole. Worked in the round. 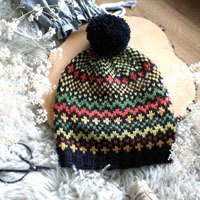 Knit up from RS approx. 90 to 100 sts along the neck on circular needle size 5 mm / US 8 (40 cm / 16''). K next round - while AT THE SAME TIME adjusting no of sts to 84-92-92-100-108-108. Then work rib (K 2/P 2) until edge measures approx. 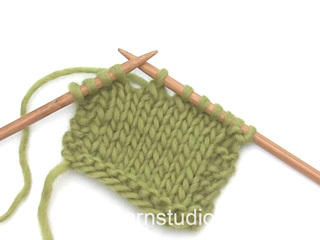 3 cm / 1'', loosely bind off all sts with P over K and K over P.
How to read the charts? There is no direction arrow, for instance with A1, am I reading from bottom right to left? Dear Mrs Ackerson, when you work in the round, always read diagrams from the right towards the left, when working back and forth work RS rows from the right towards the left and WS rows from the left towards the right. Read more about diagrams here. Happy knitting! Als ik gaatjes brei, moet ik ook weer meerderen. Moet ik dat met een omslag doen of uit een steek breien? Hoi Ans. Als je moet meerderen bij de gaatjes, dan zou ik waarschijnlijk een steek opnemen en geen omslag maken. Maar kijk wat jij het mooiste en makkelijkste vindt. Gisteren afgemaakt, vandaag direct aan en al helemaal aan verknocht. Ideaal voor die tussendoordagen die we zoveel hebben in Nederland (niet warm niet koud) als je niet weet wat je aan moet. Det är en otydlig teckning: 2m ihop, 1 "klump" osv. Klumpen betyder 2 omslag, varav ett stickas och ett släpps på följande varv. M1 ser ikke ut til å inneholde noen kast, kun to og to sammen ? Jo, det er. De er den sorte oval som du se efter de 2 m sammen i pind 9 og 19 (2 kast mellom 2 m). 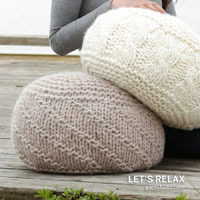 Wer hat das teil schon gestrickt? At Susanne: Ja ich. Was möchtest Du denn wissen? Tolles Teil. Das werde ich stricken. Model nr. ab-035, laatste zin bij de mouw, losjes afkanten enz enz.,9minder cm. voor de grootste enz.) is hier het cm. aantal vergeten?